This Agreement forms the general conditions of sale under which Tour Tempo Europe B.V.® (herein after called «TTE») with address Nieuwe Diep 40, 4465 AB Goes, The Netherlands contracts with consumer for the sale or the supply of Goods and Services. All orders are subject to the conditions set forth in this Agreement. The definitions shall include the singular as well as the plural. The Dutch language of the Agreement is governing. 5.1. Consumer may complete the order through Distance sale and the transaction shall be in place when the Agreement and Offer have been accepted by Consumer. Seller shall accept the order until payment through the Distance sale (credit/charge/debit card or other acceptable payment method) is processed. Any e-mail, on-screen receipt or other acknowledgement of the order is merely to report that Consumer′s request has been received and does not in any way denote acceptance regardless of any wording on the e-mail or the receipt. Seller reserves the right, at any time prior to acceptance, to refuse any order or any part of an order, or to require further or better information to enable itself to evaluate and/or process the order not limited to i) verify Consumer′s credibility, ii) verification of Consumer′s permanent place of residence. 5.2. In case a Consideration term is applicable the call-off by Consumer of the Consideration term shall be deemed cancellation of the order. 5.3 Seller may invoke, in agreement with legal terms, additional conditions («koop op proef») and/or to suspend Consumer′s right to the Consideration term. 5.4 Should an advance payment by Consumer be made and the order be cancelled, provided that Goods have not been dispatched to Consumer, payments made will be credited to Consumer within thirty days. 5.5. Seller has proper state of the art technical and organisational methods of electronic payment in place. 5.6. Personal information will be recorded and treated in line with Seller′s Privacy Statement for Distance sales. 5.7. 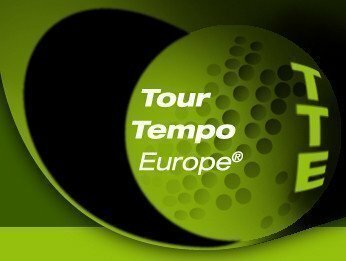 Should Consumer note an obvious error(s) with the Distance sale, Consumer shall notify Seller forthwith (sales@tourtempo.eu) . Consumer will keep any Goods so delivered under its custody and Seller will notify Customer how to process the error. Consumer will act in all fairness and act reasonably in order to safeguard the Goods.